Global equities decline to start the fourth quarter. All major regions finished the week in negative territory as rising U.S. bond yields weighed on equities1. U.S. and non-U.S. developed market equities declined -1.3% and -2.2%2, respectively, while emerging markets struggled even more with a -4.5% drop3. U.S. equities, the year-to-date regional leader at 9.2%4, continue to help keep global equities (2.4%)5 in positive territory as non-U.S. developed markets (-3.4%)6 and emerging markets (-12.0%)7 lag. 10-year Treasury yield hits highest level since 2011. 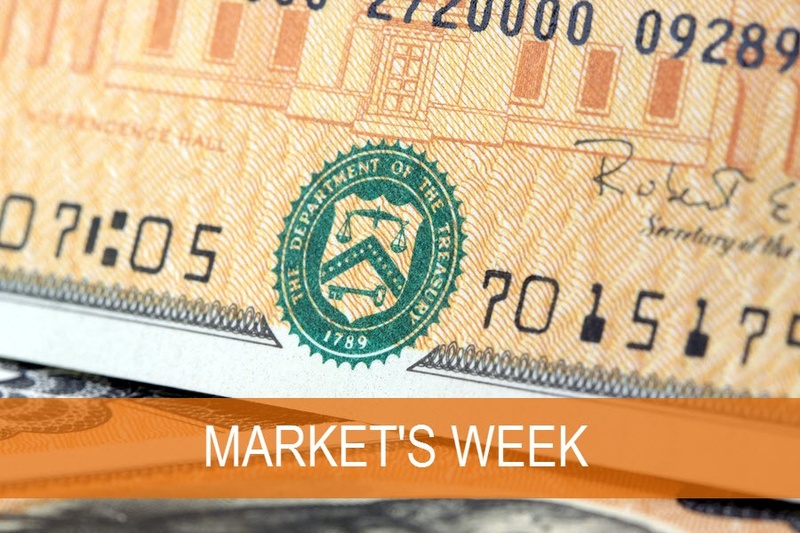 The 10-year U.S. Treasury yield reached a high of 3.23% near the end of last week8, as we believe investor optimism on the U.S. economy helped drive the 10-year yield to its highest levels since 20119. In our opinion, reduced trade war risks, a strong U.S. labor market and recent benign Federal Reserve (Fed) comments on inflation contributed to the rise in interest rates. With inflation relatively stable, the real yield of the 10-year Treasury bond is approaching 1%10, a level also last reached in 201111. We believe the outlook for higher interest rates rather than inflation concerns is driving the real yield higher. These factors have also provided some relief to the flatness of the yield curve12. The spread between the 10-year and 2-year yields has floated around 25 basis points over the last month13 before ending last week at 35 basis points14. Historically low unemployment rate reveals tightening labor market. Friday’s U.S. jobs report brought forth 134k newly created jobs; this was lower than the projected 185k for the month and less than the upwardly revised August reading (270k). Hurricane Florence may have had an impact on September's figure. The unemployment rate, previously 3.9%, moved down more than expected to 3.7%, a 48-year historic low. Average hourly earnings were in-line with consensus expectations of 2.8% year-over-year (y/y), coming down slightly from August’s reading. With another solid labor market report, markets as measured by Fed Funds futures are still expecting a roughly 76% probability of a December Fed rate hike15. U.S. and Canada revise NAFTA hours before the deadline. The new deal titled the United States-Mexico-Canada Agreement (USMCA) will have its biggest impacts on carmakers and those in the agriculture industry. If the USMCA is ratified by Canada, Mexico and U.S. lawmakers, barriers will be removed from the three countries on the movement of agricultural products. U.S. carmakers will be impacted also as cars must be created using high wage labor or duties will be placed on the sale of the car. The new deal did not resolve the steel and aluminum tariffs that the Trump administration implemented in June so this issue will need to be negotiated separately. Third quarter earnings season starts Friday. Starting this Friday, large banks out of the financial sector including JPMorgan Chase (JPM), Citigroup (C), and Wells Fargo (WFC) will kick off the third quarter earnings season. Consensus third quarter earnings estimates predict 19.3% y/y growth which is modestly lower than prior quarters16. We believe investors will follow closely to see if the tax cuts enacted at the end of 2017 are still providing support as well as any impacts from ongoing U.S.-China trade tensions. Economic data in focus across the U.S. and China. China’s composite and services Purchasing Managers’ Index (PMI) readings have declined since late 2017. The release of China PMI data this Monday may offer clues on how China’s economy is holding up in the middle of a trade war. China import/export data will be posted on Friday with surveys showing decreases from prior levels to 14.5% y/y and 8.7% y/y, respectively. In the U.S., sentiment readings in the form of NFIB Small Business Optimism and University of Michigan Consumer Sentiment are expected to increase slightly. U.S. headline inflation expected to decline. After steadily increasing since the beginning of the year, U.S. headline Consumer Price Index (CPI) data is expected to decrease from 2.7% y/y to 2.4% y/y. Core CPI is expected to move slightly higher from 2.2% y/y to 2.3% y/y. Outside the U.S., Germany headline inflation is expected to remain near the prior figure at 2.3% y/y. 1) Bloomberg, MSCI U.S. Equities IMI Index, MSCI ex-U.S. Equities IMI Index & MSCI Emerging Market Equities Index returns 01Oct2018 – 05Oct2018. 2) Bloomberg, MSCI U.S. Equities IMI Index and MSCI ex-U.S. Equities IMI Index returns 01Oct2018 – 05Oct2018. 3) Bloomberg, MSCI Emerging Market Equities Index return 01Oct2018 – 05Oct2018. 4) Bloomberg, MSCI U.S. Equities IMI Index return 02Jan2018 – 05Oct2018. 5) Bloomberg, MSCI World Index return 02Jan2018 – 05Oct2018. 6) Bloomberg, MSCI ex-U.S. Equities IMI Index return 02Jan2018 – 05Oct2018. 7) Bloomberg, MSCI Emerging Market Equities Index return 02Jan2018 – 05Oct2018. 8) Bloomberg, Yield of the 10-Year nominal Treasury rate using data available as of 05Oct2018. Basis Point (BPS) refers to a common unit of measure for interest rates and other percentages in finance. One basis point is equal to 1/100th of 1%, or 0.01%, or 0.0001, and is used to denote the percentage change in a financial instrument. 9) Bloomberg, In this analysis we are making a comparison of the 10-Year nominal Treasury rates using data available as of 01Jul2011 – 05Oct2018. 10) Bloomberg, Real yield of the 10-year nominal Treasury rate using data available as of 05Oct2018. A real yield is the yield to the investor that has been adjusted to remove the effects of inflation. 11) Bloomberg, In this analysis we are making a comparison of the real yield 10-Year nominal Treasury rates using data available as of 01Jul2011 – 05Oct2018. 12) Yield Curve is constructed by plotting a session’s final yields for various maturities including 1-month, 3-month, 6-month, 1-year, 2-year, 3-year, 5-year, 7-year, 10-year, 20-year and 30-year maturities. A flat yield curve would show similar interest rates between the various maturities. 13) Bloomberg, In this analysis we are making a comparison between the difference of the 2-Year nominal Treasury rates versus the 10-Year nominal Treasury rates using data available as of 28Sep2018. 14) Bloomberg, In this analysis we are making a comparison between the difference of the 2-Year nominal Treasury rates versus the 10-Year nominal Treasury rates using data available as of 05Oct2018. 15) Bloomberg, Fed Funds Futures Index 28Sep2018. Fed funds futures are used by banks and fixed-income portfolio managers to hedge against fluctuations in the short-term interest rate market. They are also a common tool traders use to take speculative positions on future Federal Reserve monetary policy. 16) Thomson Reuters. S&P 500 Earnings Dashboard. Retrieved 05Oct2018 from http://lipperalpha.financial.thomsonreuters.com/2018/10/sp-500-17q1-earnings-dashboard/.